Daniel Tiger goes to school. Social-emotional development and academic success are much more related than many people think. We often hear talk about the academic curriculum or the social-emotional approach to early education as if these are two separate things. Research tells us that for children to be successful in school, they must be mentally healthy and they must have good interpersonal skills. Emotional development skills include the ability to regulate behavior, to manage feelings, to feel competent in completing tasks, and confident in trying new things. 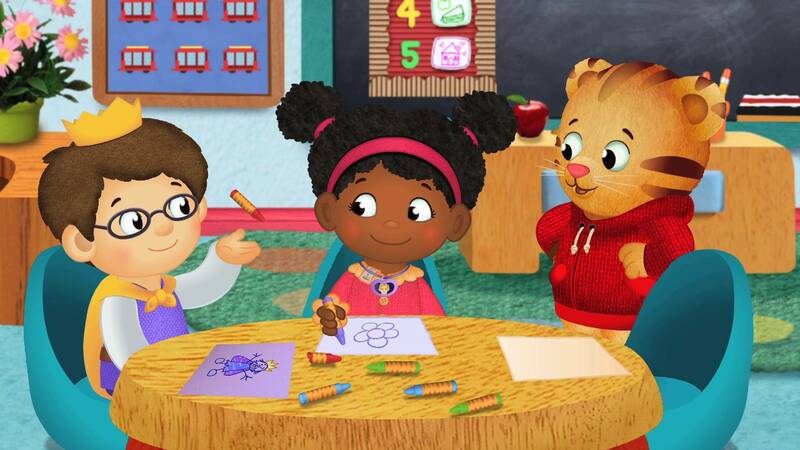 To help boost these invaluable skills among preschoolers, each episode of Daniel Tiger’s Neighborhood consists of two engaging stories that center on a common early learning theme with catchy, musical strategies that reinforce each theme and that preschoolers and adults will both sing – and use! – together in their daily lives. Going back to school and/or starting school elicits a variety of concerns in young children. PBS LearningMedia featured Back to School collection provides teachers with resources (episode clips, articles, and activities) that address specific as well as more general concerns that seem to arise at this time of year. Celebrate Earth Day, April 22 Professional Development for Science Teachers Who Tells Your Story?